Paris Saint-Germain coach Unai Emery has said Neymar needs to learn not to respond to provocation after the world’s most expensive player was sent off against Marseille last weekend. 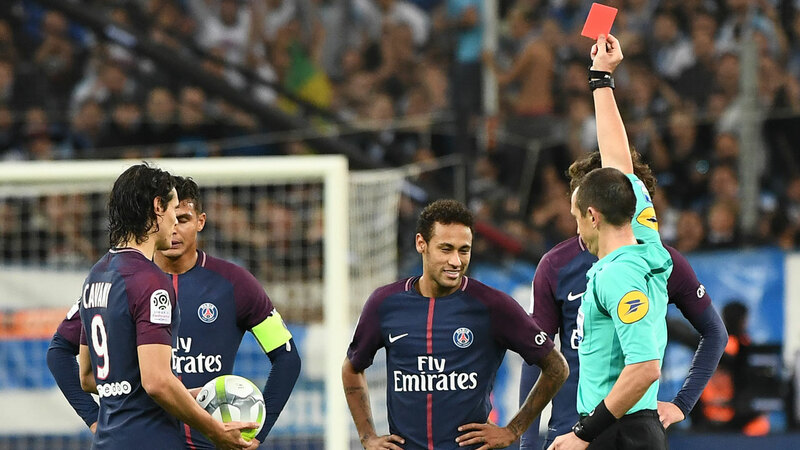 The 222 million-euro ($264 million) Brazilian picked up a second yellow card late in Sunday’s 2-2 draw between the bitter rivals at the Velodrome for reacting to a foul by Lucas Ocampos. Neymar got up and shoved Ocampos and the Argentine’s over-reaction played its part in the ex-Barcelona man receiving his second booking, just two minutes after his first. “He is going through the process of adapting to the league, the team, the referees, but he is intelligent. He is also aware that he must learn from what happened on Sunday,” said Emery ahead of Friday’s Ligue 1 meeting with Nice. Neymar will be automatically suspended for that game at the Parc des Princes. 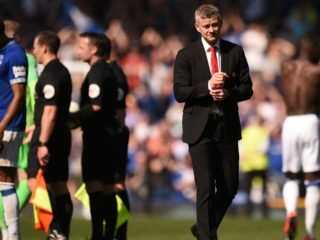 “He was sought out more aggressively by the opposition, and it is important that referees know how to handle matches where these situations occur on the field,” Emery added. The Nice game will be just the second that Neymar has missed since making his Paris debut in August — he previously sat out a 0-0 draw at Montpellier last month. Emery could make other changes to his side with the encounter coming four days ahead of the home Champions League meeting with Anderlecht, where a win could wrap up their place in the last 16. Veteran midfielder Thiago Motta will not feature against Nice because of a knee complaint, while Emery could have a problem at right-back as both Dani Alves and Thomas Meunier are doubts. Angel Di Maria could benefit from Neymar’s absence to make just a second start since August. 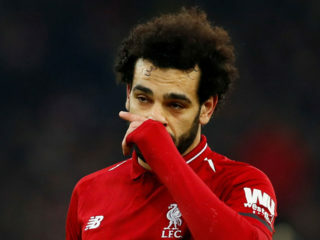 “When he doesn’t play, he is not happy. He wants to play and start every match, but when he doesn’t it is because of the competition and the performances of others,” said Emery of the ex-Real Madrid man, who pointedly did not celebrate after coming off the bench to score in the recent 4-0 win at Anderlecht. 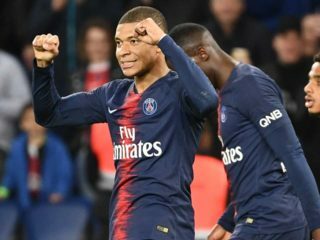 A win against Nice will allow PSG to go seven points clear at the top from reigning champions Monaco before they visit Bordeaux on Saturday. Nice are the only French team to have beaten PSG in 2017, recording a 3-1 triumph in April. However, Lucien Favre’s side are struggling this season — last week’s 2-1 loss at home to Strasbourg was their third on the bounce in the league and they are 14th in the table. “We are delighted to be going to Paris. We will need to defend as a team, use the ball well, and above all we will need to be more compact,” said Favre, who is without playmaker Jean Michael Seri but could welcome back Mario Balotelli. The Italian is Nice’s top scorer with five goals but missed last week’s match with a calf knock.